Heyl Royster has been a premier professional liability defense law firm in Illinois for decades. The firm name is synonymous with successful medical malpractice decisions from trial and appellate courts throughout the state. Our clients include private physicians, medical groups, medical colleges, hospitals, medical centers, nurses and dentists. Our statewide offices have extensive involvement in defending medical malpractice and allied professional liability claims. As a result we have developed contacts with excellent expert witnesses and consultants to assist in the evaluation and trial of cases. Our lawyers are focused on the timely assessment and disposition of claims or lawsuits when that is advisable. However, the extensive trial experience and record of successful verdicts by our lawyers is evidence of our commitment to defending our clients when a verdict is preferable to settlement. We encourage our client physicians to work closely with our trial attorneys and expert witnesses in a partnership that develops a solid defense strategy. This philosophy has allowed us to be a leader in the field of defending medical professionals. Our caseload volume not only gives us depth and experience, but efficiency as well. Our appellate department is one of the most active in the state. It handles appeals not only from our trial attorneys but also from other firms and clients who retain us. The attorneys in our appellate department have handled numerous professional liability cases of significant precedential importance in Illinois, such as Witherell v. Weimer, 113 Ill. 2d 586 (1987), Fawcett v. Reinertsen, 131 Ill. 2d 380 (1989), Owens v. Stokoe, 115 Ill. 2d 177 (1986), Roach v. Springfield Clinic, 157 Ill. 2d 29 (1993), and Renslow v. Mennonite Hospital, 67 Ill. 2d 348 (1977), to name a few. Our firm's long history in the defense of medical malpractice claims has permitted us to develop a cadre of premier trial attorneys with an unmatched record of success. They recognize the unique character of medical malpractice cases and stand ready to assist physicians and other professionals who find themselves involved with litigation. Our primary goal is always client satisfaction, as it has been for more than 100 years. 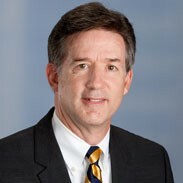 Heyl Royster has defended Illinois attorneys for six decades in many significant matters, which have resulted in Illinois Supreme Court decisions beneficially affecting the climate for practicing law in Illinois in cases such as Cripe v. Leiter, 175 Ill. 2d 525 (1997), McLane v. Russell, 131 Ill. 2d 509 (1989), and York v. Stiefel, 99 Ill. 2d 312 (1983). Our seasoned trial attorneys have defended these actions from service of process to final remand. Our Appellate Department is experienced at defending legal malpractice actions at every level of appeal with good results. Heyl Royster also has a long history of representing attorneys before the Attorney Registration and Disciplinary Commission of the Illinois Supreme Court. Our approach is simple, we treat every one of these matters as the most important matter we will ever handle. Heyl Royster has the legal expertise, staff, and resources to successfully handle complicated and voluminous accountant malpractice cases. Heyl Royster has successfully defended real estate brokers against many diverse claims arising out of the sale of real estate. Our Real Estate Practice Group provides excellent technical support for our Professional Liability Litigators handling real estate claims. Few things are so precious to a realtor as his or her reputation. We understand that, and painstakingly prepare the defense of such claims for a successful outcome. Heyl Royster has represented design professionals in the multitude of claims with which those entities can be involved, including personal injury claims under the former Illinois Structural Work Act as well as the current Restatement (Second) of Torts, Section 414 and 343, Construction and Design Defect Claims for Roofs, Curtain Walls, Window and Door Design and Construction, EIFS claims, HVAC systems, etc. We have defended design professionals in claims involving the design of jails, prisons, hospitals, performing arts centers, factories, and manufacturing facilities, sports stadiums, as well as residential and condominium developments. Heyl Royster understands the unique requirements of representing a design professional in a legal setting and has developed the expertise to work with design professionals in their own element, i.e., examining the concept from the beginning until execution, including contract development, drawings, bidding, construction administration, change orders, punch lists, and termination of the project. We have represented design professionals as designers, construction managers, design builders, and consultants.